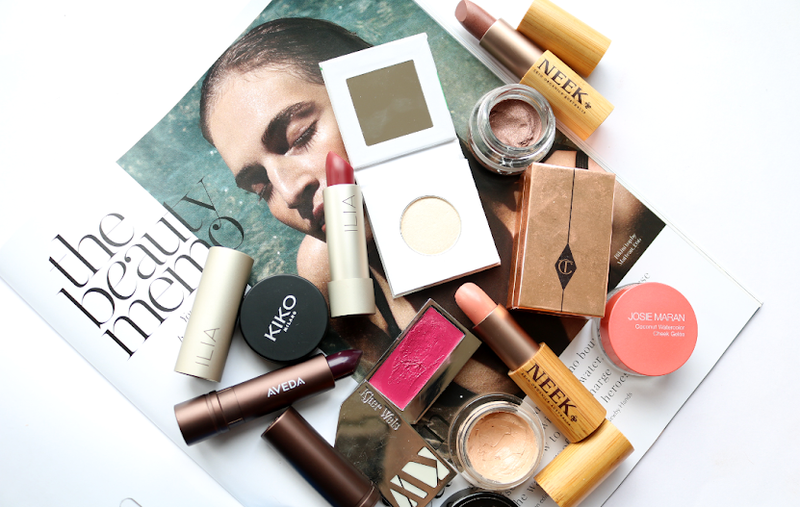 Almost every makeup brand these days seems to have a false lash effect mascara which promises to give you amazing lashes without having to put on an actual set of falsies, but how do they really compare for an everyday look? 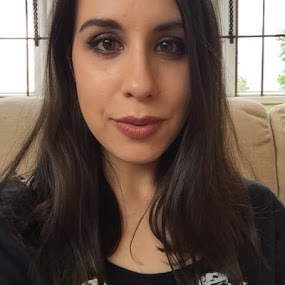 To try this out I decided to use one of my favourite mascaras of all time, Benefit's They're Real, which advertises itself as one of the best false lash effect mascaras on the market. I applied two coats as I usually do which gave me the result above. They're Real instantly makes my lashes look HUGE, gives me much more definition and darker pigmentation, and really lengthens them out. 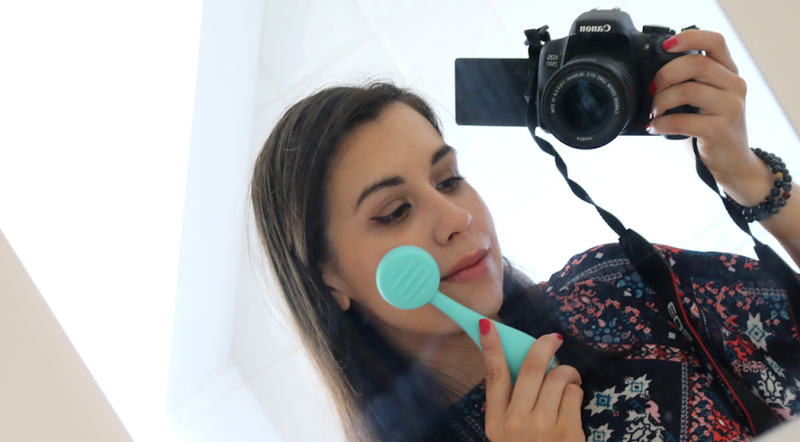 I always find it to be completely smudge and flake proof, but it can be a bit of a pain to remove at night! Whilst it's generally great at defining lashes, I do sometimes experience a little clumping when the second coat is applied. To compare They're Real to an actual set of false lashes, I wanted to find the most natural looking set that someone would wear for an everyday look. 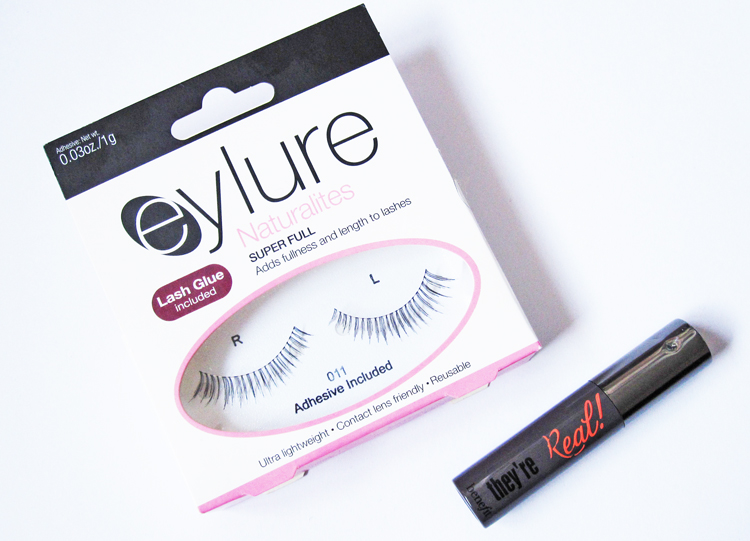 I popped into Boots and came out with Eylure Naturalites False Lashes in 011, which claim to add fullness and length to your natural eyelashes. These were a little tricky to apply at first because they are very fine, but to give you a rough idea, see above. They do make your natural lashes look longer and fuller but without being OTT. The main difference I see between mascaras and false lashes, is that it's a lot easier to achieve fullness with falsies because you're obviously adding extra lashes to your own, and so many mascaras have a tendency to clump which can often result in you looking like you have less lashes! For an overall everyday look though, I'd have to say that I definitely prefer Benefit's They're Real mascara, the darker pigmentation and having less uniformity is something I just like the look of more. 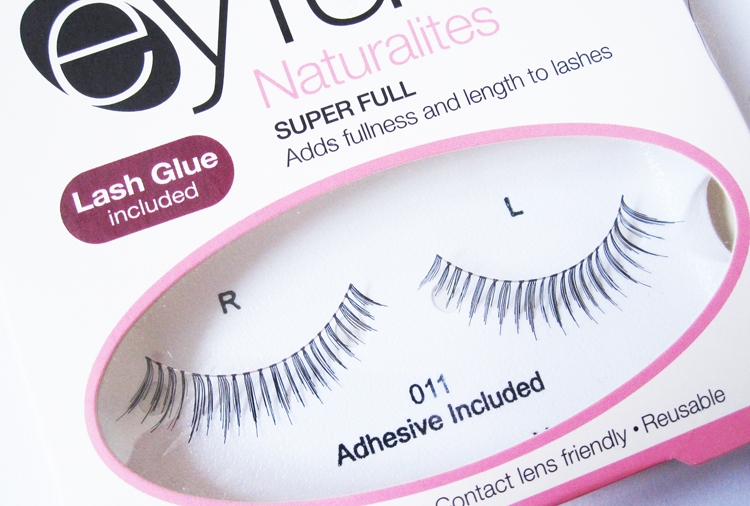 But if you're a falsies fan, Eylure's Naturalites range is really good. Falsies vs False Lash Effect Mascara - which do you prefer for an everyday look? Definitely mascara for everyday! I'm not used to applying/wearing falsies so they're more of an special occasion thing. These do look really natural and pretty though. I don't think I could wear false lashes on a day to day basis, I'm far too lazy! I love They're Real, it's my favourite mascara! For an everyday look I go with my most trusted holy grail super waterproof mascara! Kiss me Heroine long & curl but for a more dramatic flare that no mascara can do with my tiny lashes I'd go with much bigger lashes than that pair! Although it's a very perfect pair for I think all eye shapes!